Folding furniture can be traced back to the bronze age. Tutankhamun’s throne was designed with this type of functionality, as well as the collapsable furniture found during the campaigns of Julius Caesar and beyond. This week we unfold five modern designs to help expand your perspective on what’s possible. Inspired by ancient Greek techniques, the Ferdinand’s identity is rooted in its structure. Fixed together solely by wood wedges, this piece takes on a compact form as easily as it unfolds. 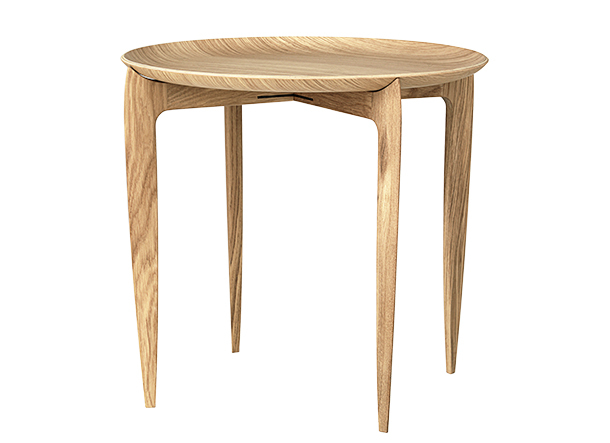 Built of solid untreated oak. Leather in tan, black, cognac, or dark brown. 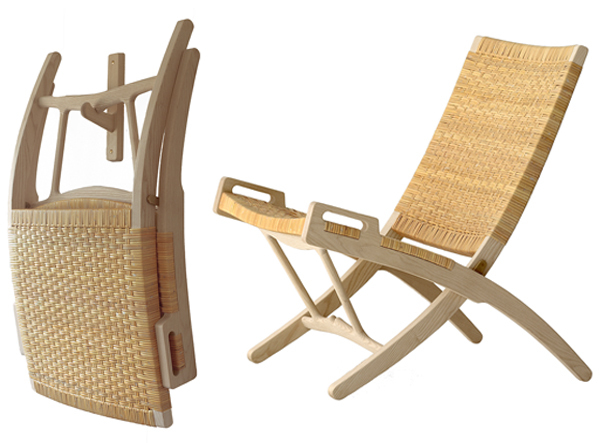 The PP512 Folding Chair is Wegner’s perspective on elegant, functional, and space-conscious design. Displaying references to Mies van der Rohe’s Barcelona chair, the PP512 is crafted in solid wood and cane—in true Wegner fashion. Meant to be hung as an art piece when collapsed, the PP512 stands out in all of its forms. 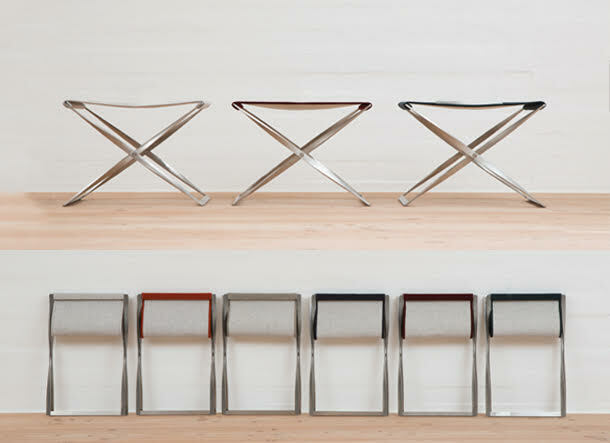 With the Rayures, designer siblings, Erwan and Rowan Bouroullec have created a truly stunning, transformative piece. 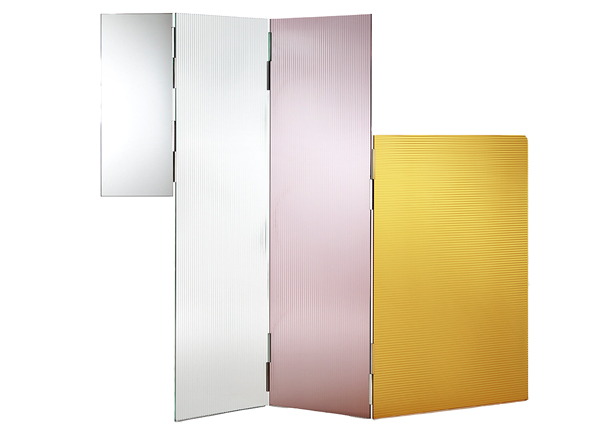 “We never think that something is distinctively for the home or office – we think that everything can go anywhere.” Rayures introduces a soft touch of color to any space through its laminated and tempered fluted glass panels. Multiple colors and sizes available. 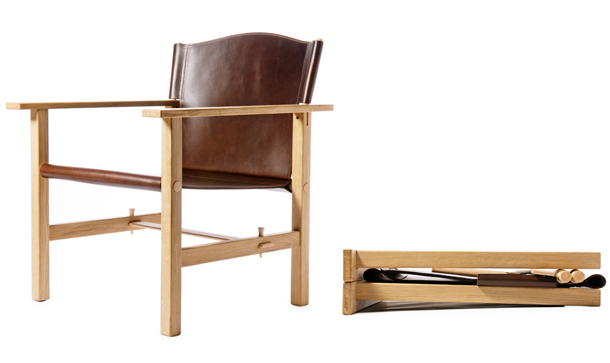 The PK91™ is a reinterpretation of an ancient Egyptian folding stool dating back to circa 1500BC. Making use of his preferred material, Poul Kjaerholm combines canvas with stainless steel elements to create a modern and visually light piece. Redefine your space with Kjaerholm’s adaptive expression of historical furniture. Leather option available. Designed in 1958 by cabinetmakers Willumsen & Enholm, the Tray Table features a removable tray and a collapsible base in natural oak or black lacquer. 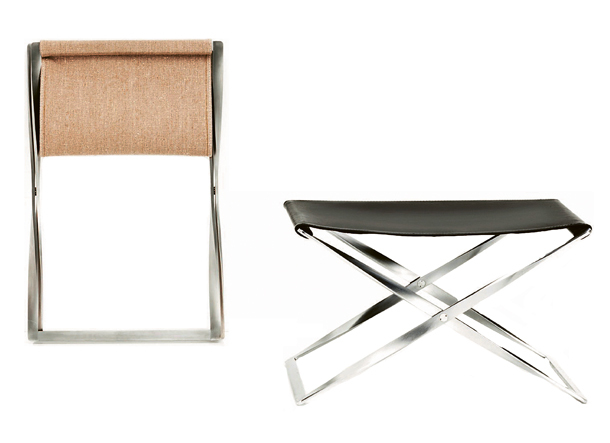 A sophisticated design that can be put together or stowed away effortlessly. Tray in oak veneer.